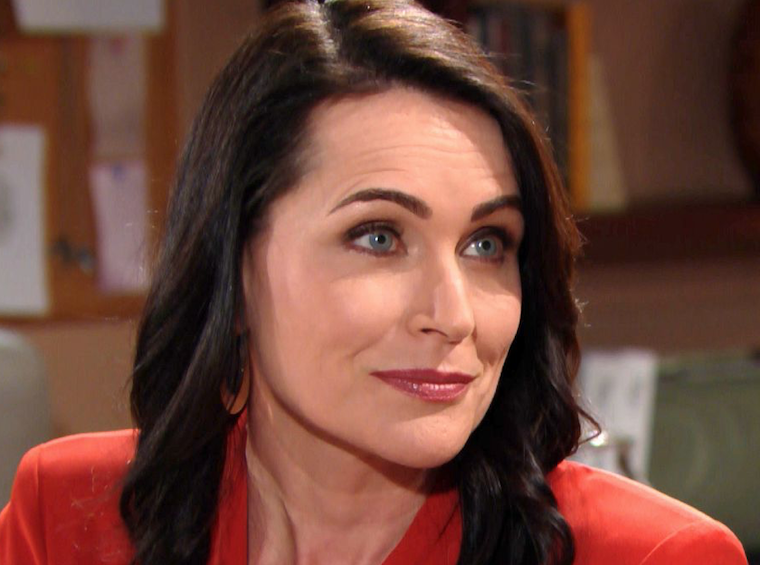 The Bold and the Beautiful spoilers relate that Wyatt and Flo are still discussing her possible father, and the remarkably similar situations they share regarding their Dads. Flo has gone her whole life without knowing who her Dad is, and now she wants to find out. Wyatt’s Mom, Quinn, told him his Father was dead (when in reality, it was Bill Spencer) and Flo’s Mom just clams up whenever the topic of her Father is mentioned. Flo wonders if she might be able to establish a meaningful relationship with her Dad the way Wyatt did with his, if he’s still in existence. But convincing Shauna to give up the goods might prove far more challenging than Flo thinks. Even though Shauna is traveling to LA to address her daughter’s question face-to-face, that doesn’t necessarily mean she’s ready to open up. She’s held onto this secret for the entire time that Flo has been alive, so she may give up the identity of Flo’s Dad, and she may just get caught up in catching up with old friends and avoid the question entirely! What old friends, you ask? Why, Quinn, of course! It seems that Shauna and Quinn were friends back in the day, but like a lot of friends who move, they sadly fell out of touch. They have a discussion about their children and reminisce about the old time. Quinn will suggest its high time that Wyatt and Flo got back together and Shauna will wholeheartedly agree. They both think that Flo and Wyatt are simply made for each other, and that means that the new Mom Squad in town will probably team up to split Sally and Wyatt up… oh no. The fact that Sally is going to leaving town to visit her Grandmother certainly won’t help matters. In fact, it will probably give Quinn and Shauna the opening they’ve been looking for to put these two together. But oh how weird this whole set-up will be if they find out that Bill is also Flo’s father! Let’s hope that B&B doesn’t pull a Star Wars and cause too much of a galactic rift!